Spam, spam, spam, spam- Uggh! Lately I’ve been feeling an awful lot like the female restaurant patron in Monty Python’s “Spam” skit. Pixie: Well, what’ve you got? 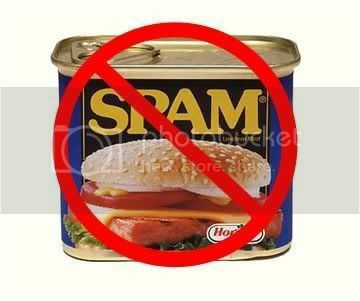 Pixie: Have you got anything without spam? Pixie: But I don’t want ANY spam! Pixie: Whatta ya mean “Uggh!”? I don’t like spam! So that about sums up most of my time spent dealing with my blog. It’s disappointing, I try to post things that are important to me…and things I think others may want to read…and hopefully enjoy. But I am REALLY tired of the spam. Spammers, be warned…I will delete you, and flag you as spam…stop wasting your time, and leave me alone!!!!! HR 3501 was just brought to my attention by a fellow student of The Sacred Mists. The Humanity and Pets Partnered through the Years Act (aka: HAPPY ACT) would change the tax code to allow pet owners to get a tax deduction for pet care expenses. The proposed credit would be for up to $3500 for pet care expenses, including Veterinary care. According to the 2007-2008 National Pet Owners Survey, 63 percent of United States households own a pet. The Human-Animal Bond has been shown to have positive effects upon people’s emotional and physical well-being. This recognizes that pets are, according to most of us, actually part of the family. I found it interesting that 63% of American households own a pet, yet only 46% have children (See USA Today Article: Number of households with kids hits new low ). Let me be clear, this would be a tax Deduction NOT a tax Credit. For those who may not know the difference, a Credit is a dollar for dollar refund (the taxpayer could conceivably receive $3500 even if they paid NO taxes into the system), while a deduction only reduces taxable income up to $3500 (reducing the tax bill by whatever their tax rate is). According to the 2007-2008 National Pet Owners Survey, 63% of United States households own a pet. Indeed, the human-animal bond has been shown to have a positive effect upon people’s emotional and physical well being. In families with children, pets help to create a nurturing environment and provide ample educational opportunities. For people in later stages of life, pets offer important companionship. No matter the age of the owner, pets have been shown to reduce stress, safeguard against depression, improve social skills, and even ease loss. In light of this, please join me in becoming a cosponsor to H.R. 3501, the Humanity and Pets Partnered Through the Years (HAPPY) Act. If enacted, H.R. 3501 would amend the Internal Revenue Code (IRC) to allow an annual tax deduction of up to $3500 for qualified pet care expenses. Specifically, “qualified pet care expenses” would be defined as funds spent in connection with providing care (including veterinary care) for a legally owned, domesticated animal.” (See Huffington Post Article: House GOPer Seeks Co-Sponsors For Pet Health Care Tax Benefit ). While a vast majority of website polls I have seen show large percentages of Americans are in favor of the Bill, so far, it seems only one member has joined his cause, Representative Steve Cohen (D-TN). It also doesn’t seem to be moving through Congress very quickly. It was introduced in July 2009, and has been referred to the Senate Ways & Means commitee…and there it sits. Now, I realize that there are ‘bigger fish to fry’ at the moment (Healthcar reform among the biggest, at the moment), it would be nice if our representatives could get something done to help lessen our tax burden in the interim. If you are in support of this Bill, I urge you to contact your local Represetatives and ask them to Co-Sponser it.